Regardless of what type of electronics project you are working on you will likely have to provide feedback to your users about the status of the system. Typically this can be done visually using LEDs or small displays. 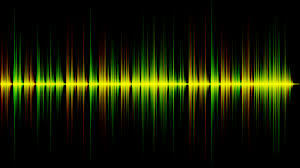 However, another great way to provide user feedback can be through sound. This might be as simple as a quick “beep” to indicate that the fridge door has been left open, or as complex as providing background music for a game! Thankfully adding sound to your projects is actually quite easy! The best way to get started is to checkout the following guide. Want to keep in the loop about the latest in home automation? Subscribing to SuperHouse Automation on YouTube is the best place to start! Inspired to start work on this project? Are you working on a project you would like us to feature in this blog? The team at SuperHouse Automation would love to know! Tell us about it in the comments section below or on Facebook and Twitter.